Are you having trouble getting your motorcycle started? At Cars Towing, we specialize in all aspects of the trade, including quick and reliable motorcycle towing services. We have an incredible group of highly trained and licensed roadside specialists that work 24/7 to lend a helping hand. We are licensed motorcycle towing experts in Richmond. We certainly cover a lot of ground, but our main goal is to ensure 100% customer satisfaction. We’ve always got you covered, day and night. Our field technicians will arrive quickly to assist with all your towing needs. Motorcycles must be towed with extreme caution. We abide by a very strict working technique and we use the highest safety standards to give your bike the best quality results. Our drivers will gently lower the ramp to accommodate your bike and deliver it to your destination of choice. We can tow it to a nearby mechanic if repairs are needed as well. We’ll do all the heavy lifting and take great care of your beloved bike, so you can have complete peace of mind. We offer the most competitive rates in Richmond, CA. 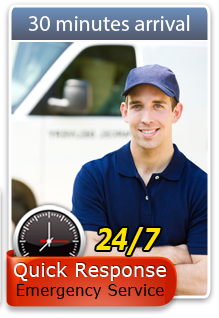 We also offer 24/7 emergency roadside assistance, in case you ever need a flat tire fixed or a quick jump start in the middle of the night. You can count on Cars Towing to get the job done. If you ever need a haul in Los Angeles, San Diego or Houston, you know who to call! We take great pride in our elite level of customer care. We also happen to be motorcycle enthusiasts ourselves, so we know what it takes to give your motorcycle the best type of treatment possible. We know how important it is to carefully secure your bike into place before heading out on the highway. It’s our duty to make sure our customers receive top-notch services and that’s our guarantee. We’ve built our reputation throughout the years as the most dependable towing company around. Get in touch with our friendly support team today to learn more.